Love this card Kia. 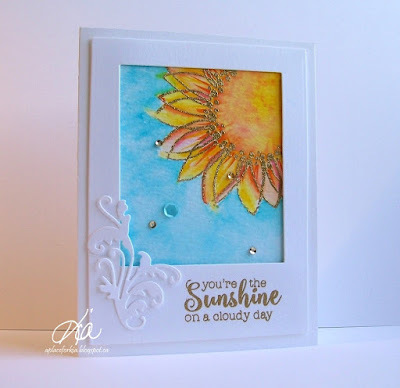 The colors are amazing and the gold embossing adds sparkle to the sun. Oh, Kia, I saw this on SCS and LOVE it! The colors are gorgeous, and I truly love how you've used this sunflower as you sun for the challenge! Beautifully done, and I love the sentiment! Hugs, sweet friend!